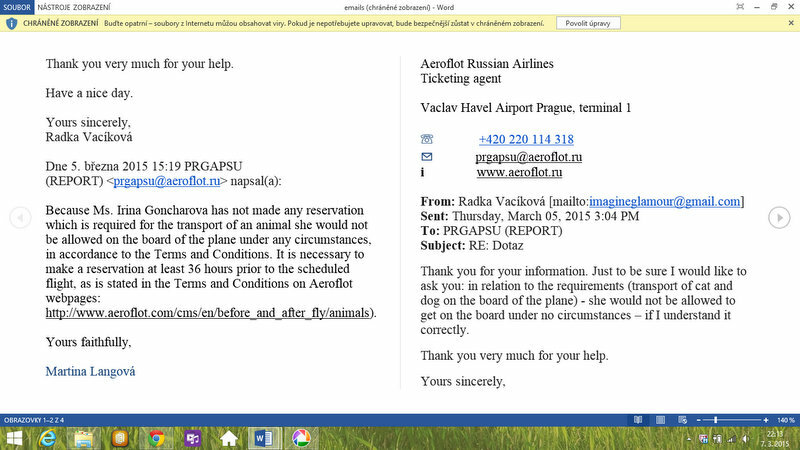 Please, pay attention to the following information and to my personal experience with Irina Goncharova from Russia. I've been a breeder for 10 years but I've never met such a person and I've never experienced such a situation. Find out more information and much more at Yulia Chuganova's FB profile (Olimpian*RU). Irina Goncharova was a contracted courier for transport of my Babette by Imagine Glamour*CZ to her new mom, Yulia Chugunova, who paid all what was necessary to transport Babette on board of the plane and also what was needed for a perfect care of her during the transport. This lady has already transported some cats in the past so we had absolutely no idea what was her plan during her departure from Prague. 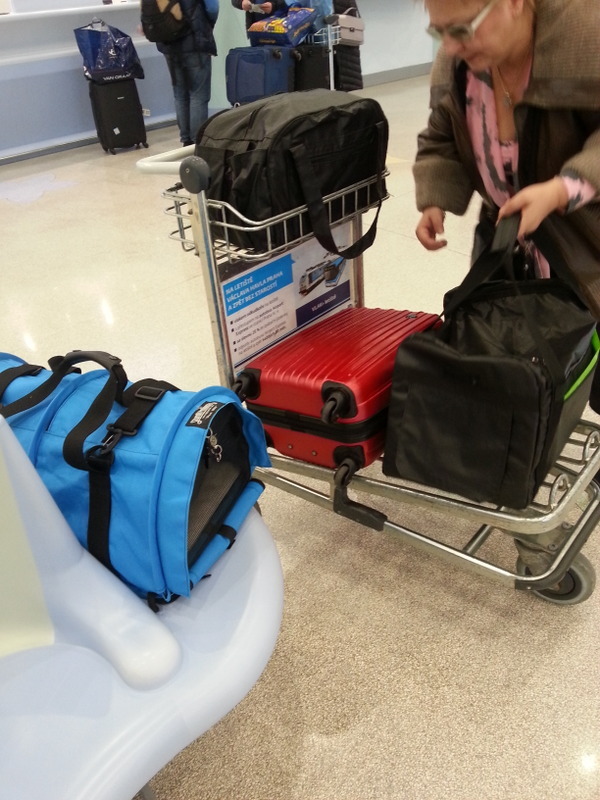 Our last info was that Babette will be only one animal which she will transport on this flight. We have even a written evidence of it. Nevertheless, nothing seemed like this would be true since the very beginning – because she had 2 very strange and dirty “carriage bags”. For Babette she had a “micro-size carriage bag”, actually, it was a leather sports bag, airtight, cross-body type of bag with a zipper on the top, with only one net, which was hidden behind an inner pocket so, in fact, the animal had nearly no air supply and there was a total darkness inside of it. I refused to place Babette into this bag and I strictly insisted on the fact that she will be transported in my Sturdi carrier bag. In that moment, Ms. Irina got considerably nervous. Everything was a problem for her, even a gift package for Babette. The biggest problem happened at the airport because Ms. Irina hadn’t made an appropriate booking for transport of an animal on board of the plane in advance. 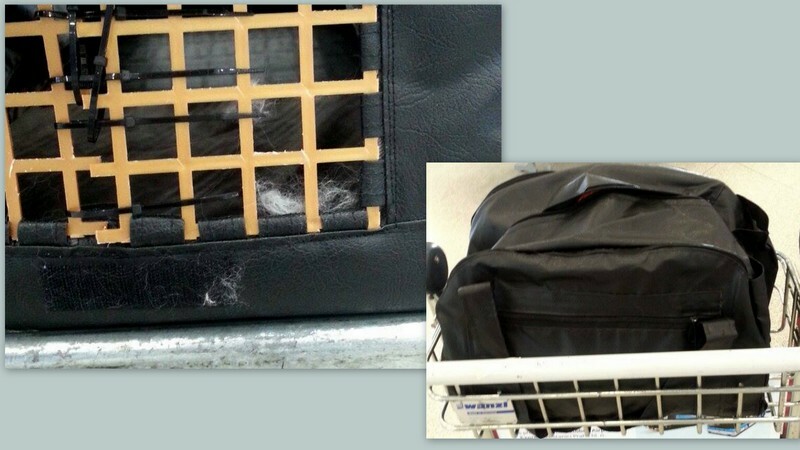 However, members of the ground crew helped her to solve this problem, she made the required booking there and she put Babette’s gift package inside the black carrier bag together with another dry food, about which she claimed that it was for her own cats. So it seemed that she normally travels like that… I really need to point out that she wanted me to leave the airport all the time… because she was persuading me that my parking ticket will be too expensive etc. 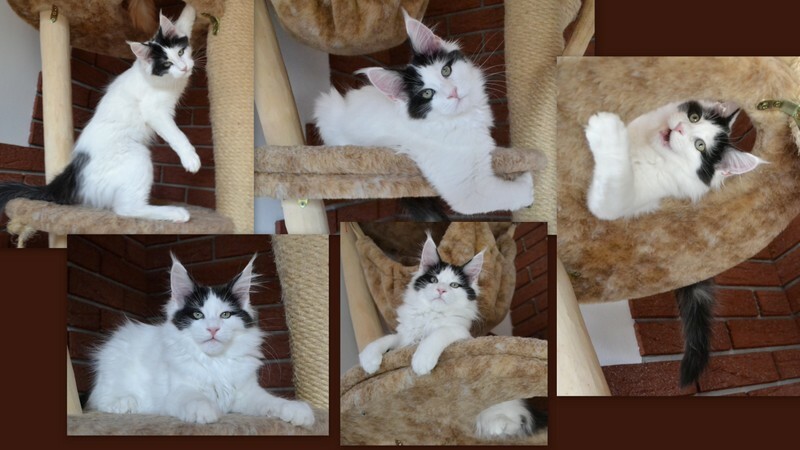 … (yes, it really was expensive) but I always wait with my kitten until it is time to go to the Gate. I always make sure that all the “bureaucracy” is all right – it was obvious that Ms. Irina was not happy about it. 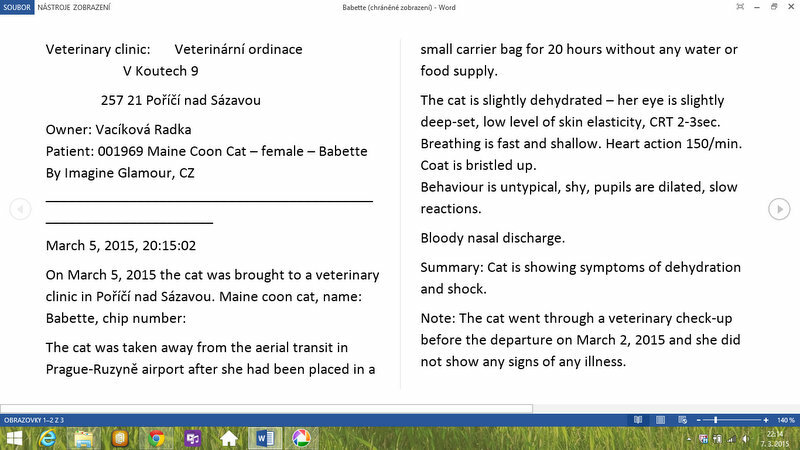 Nevertheless, everything went according to the plan and the cat was put on the boarding pass on March 4th, 2015 at 4:50 p.m. from the Prague airport. After the whole procedure was closed, I left the airport at 3:20 p.m.
EVERY courier knows that it is not possible to get on board of a plane with cat and dog at the same time, it means that even Ms. Irina was aware of this fact. So it was her evil plan to smuggle Babette in the small leather bag without any registration and to transport legally only the dog???!!!! If this is true, her unbelievable impudence and cruelty was baffled only by my assistance during the additional registration of the cat on the boarding pass. 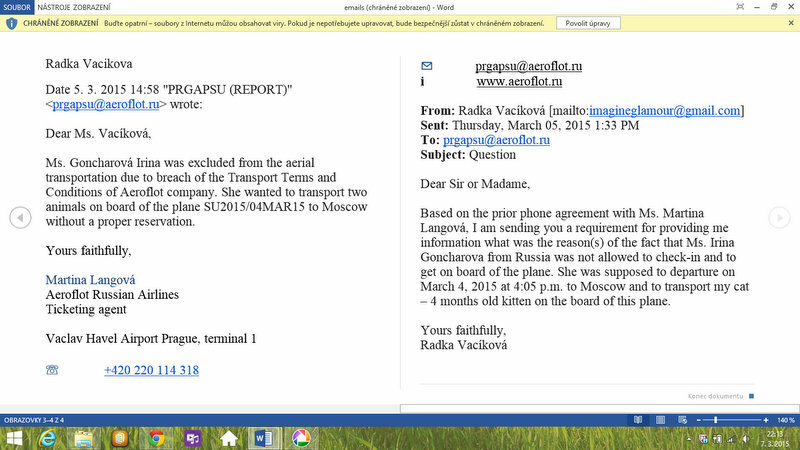 Of course, she was not allowed to board the plane, she could not even get back to the Gates, neither to the baggage check-in, because Ms. Irina was excluded from the transport due to breach of the Transportation Terms and Conditions, as is evidenced by my personal communication with the airline company. So to make long story short, she slept in the airport lounge at the CHECK-IN desks and despite admitting her big fail (because she knew very well what is going to follow) she rather let Babette to suffer. After 20 horrific hours and after a sleepless night I took Babette away from her – dehydrated, very scared, with blood around her nose. 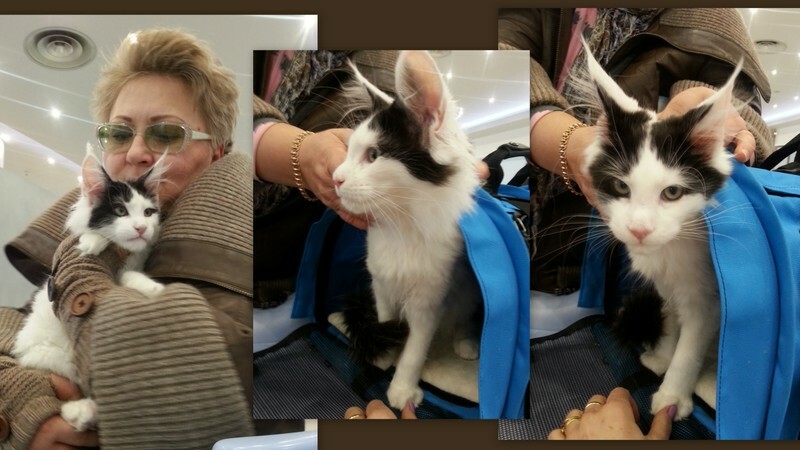 Ms. Irina would obviously be able to leave her without any care and in a small carrier bag for many more hours, because all airlines which she contacted afterwards refused to transport her with two animals of a different breed. She did not even bother to inform NONE OF US about it. She only wanted to hush it all up. If I waited for other and other “promised” flight, Babette would not be alive. 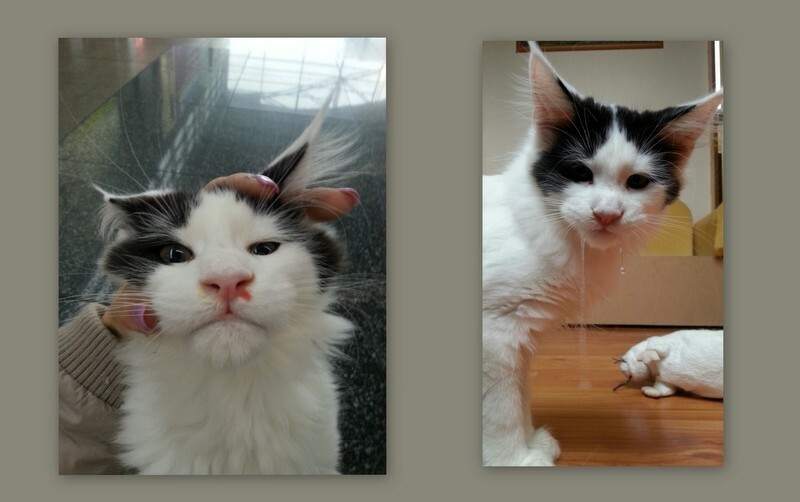 This critical situation showed that Ms. Irina cared only about her reputation and that she only wanted to save herself, regardless of the fact that not only the animal suffered (after few more hours the kidneys of my kitten would start to collapse and the kitten would not survive) but also the owners suffered as well because she stopped to communicate with us. Of course that everything what she’s said since (and until) that time were only dirty lies, thus in my point of view this woman is a crook... The solution of this whole situation was so easy .... she only had to admit her fault and inform me to come to pick my baby-girl up at the airport – because anyway the first flight ticket had already expired and she would have to buy a new flight ticket. But she didn’t want this all to come to the light and that was the reason why she said nothing to us! The rest of this story is demonstrated by the photos which were taken before the flight and after I finally found Babette, as well as our emails, veterinary report and screenshots from my cell-phone. 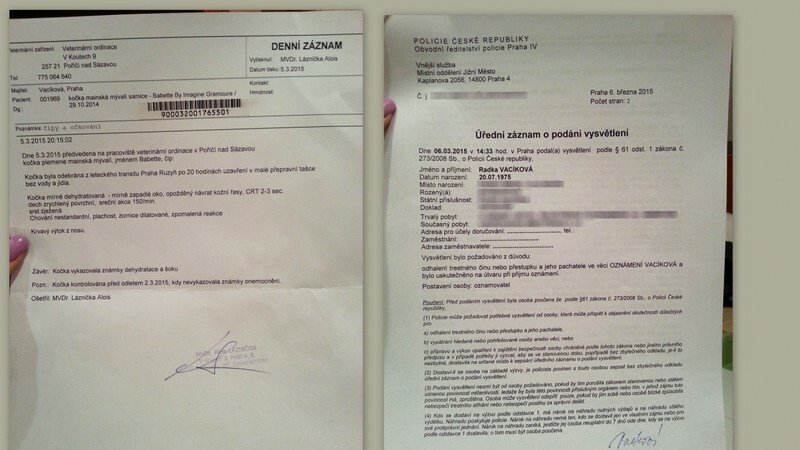 I have already started to take legal action with my lawyer against her and I announced it to the Police of the Czech Republic. Babette at home one hour before our departure on the airport... Normal, playful, healthy. Clear nose, eyes, healthy girl, ready to travel.